Bull 1.16 “Free Fall” — When a state governor and the co-owner of a skydiving company die during a jump, Bull helps the co-owner’s brother, Max Hyland (Frank Whaley), and daughter fight a lawsuit filed by the governor’s widow by trying to find who sabotaged the parachute. 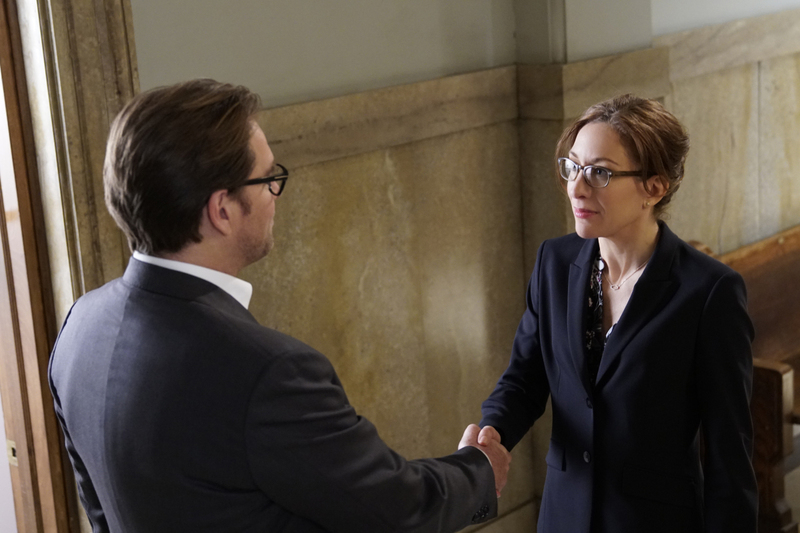 Also, Bull and his frequent trial collaborator, Liberty Davis (Dena Tyler), find themselves on opposing sides in court for the first time. Bull stars Michael Weatherly (Dr. Jason Bull), Freddy Rodriguez (Benny Colón), Geneva Carr (Marissa Morgan), Jaime Lee Kirchner (Danny James), Annabelle Attanasio (Cable McCrory), Christopher Jackson (Chunk Palmer). “Freefall” was written by John A. Norris, and directed by Jan Eliasberg. Air Date: Tuesday, March 7 (9:00-10:00 PM, ET/PT) on the CBS Television Network.